Initially Cabomba caroliniana natural habitat was rather wide and covered the area from North Brazil and Guyana to South states of the USA (Florida, Texas) and North-West Virginia. 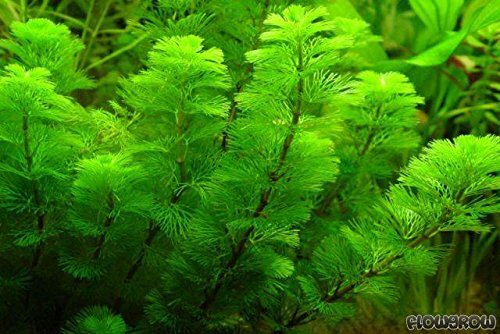 Cabomba grows both in lentic and lotic waters; at depth from 30 cm down to 1.5 m. The plant was brought to Europe in 1906 and since then it has been here to stay in amateurs tanks. However, the notion of ‘natural habitat’ for Cabomba is quite a conventional one. The plant can propagate using not only water flow as means of transport, but various animals as well. At that a small fragment of its stem or leave can be enough to create a new colony of plants. In North America Cabomba successfully continues invading more and more new water areas. It has already assimilated in waters of many central and Northern states of the USA and now it is close to Southern states of Canada. Its expanding one meter long stems block water channels, stream beds of rivers and streams, prohibit boats and motor boats from sailing, impede fishing and suppress local flora. Neither using herbicides, nor other chemical ways of fighting against this plant can’t solve the problem. That’s why in Canada it is prohibited to sell Cabomba even to aquarists. All fanwort needs is abundance of light and nutrition: open water with silty bottom is a perfect biotope for it. As for the rest, including physical and chemical water parameters, these have almost no importance for the plant. Cabomba caroliniana is interesting as an ornamental aquarium plant due to its exclusive appearance and simple cultivation process. Its stem is smooth, fleshy and branchy about 1.5 m long; the leaves are fan-shaped and resemble a bottle brush. They are dark green from top and light green from below, grow in front of each other; they are about 5 cm wide. Due to this shape of its leaves Cabomba vegetation looks very fragile, delicate and gorgeous. For aquarists Cabomba caroliniana is still a beautiful decoration of the tank: they value the plant for its perfect appearance and unpretentiousness, amazing figurability and high growth rate. The plant easily adapts to various tank conditions, grows fast, actively participates in cycle of matter in the tank. Thickly growing Cabomba bushes are perfect shelter for juveniles and are used as a spawning substrate for many fishes. You can grow the plant in a tank of any size. It’s better to put it in the background where it forms gorgeous ornamental curtain. Cabomba grows uniformly all the year round. Cabomba forms the most bushy vegetation in soft (up to 8 dGH), slightly acidic (рН 5,5 — 6,8) water. However, due to almost 100 years of its cultivation in tanks the plant has adapted well to harder water. Although, in this case it grows slower and its leaves are smaller. In comparison with other representatives of the family, Cabomba is less demanding in terms of illumination. But it doesn’t mean at all, that the plant can develop properly in shadow. You can get strong, good looking plants just by providing them with proper lighting intensity (from average to high level). Some lack of illumination hardly ever will cause the plant death, but it is quite capable of ruining its appearance, not to mention consequences of growing in thick shadow. When the plant is lack of light, it starts to elongate, the growth rate slows down and the coloring gets pale with yellowish tint. Gradually the size of its lamina gets smaller and internodes become larger. Absence of leaves on a stem base doesn’t make the plant look better as well. At that we should mention that unlike the fast process of the plant growing, the process of Cabomba recovery goes much slower. Both natural and artificial light is good for illumination of a tank with Cabomba in it. The plant is comparatively not demanding to its growing conditions. It perfectly grows both in moderately warm tank with water temperature about 18 — 22°С and in tropical tank with water temperature higher than 24°С. Fragile root system of the plant develops better in a substrate of large grained river sand or small sized pebbles (2-4 mm large). In the substrate with larger grains it is more challenging for creeping roots of the old plant to develop. Lack of nutrition and light make Cabomba look less appealing, so it’s better get liquid fertilizers in advance and remember to introduce them timely and according to manufacture’s recommendation. Stems and leaves of the plant get their maximum size close to the water surface, where they expand and shadow the area under them. Under water Cabomba stem grows vertically and then it starts trailing along the water surface parallel to the water flow. In the wild when the plant reaches water surface, Cabomba forms real small floating leaves with a solid lamina and it has white flowers that look like miniature flowers of wild cherry. Thickly growing Cabomba is a perfect shelter as well as a rich feed for many fish species juveniles. Lacelike thicket only at first sight seems to be easy to get into, while predators usually don’t go there. However, fish juveniles and youth like this place – there they have space to swim and there are many microorganisms they can eat. For climbing perch species fragments of the plant leaves are perfect construction material to strengthen their foam nest. For characines and small carps this is an ideal medium for spawning. In a tank Cabomba is easily cultivated by means of cutting its stem or rootstock. Solid Cabomba stems separated from the rootstock or with a part of it start to grow very fast at a new place. By dividing the plant stems into parts with 5-6 verticils you can also obtain a new plant when planting them and burying their 2-3 verticils into the substrate. However, this propagation process goes a bit slower. Fluffy, strong and good looking tops of the plant strike roots better and faster start to grow. Parts of the stem that are close to its roots aren’t suitable for seeding and it’s better not to use them at all: they usually have thin, not leafy and not very nice runners. Sprigs taken from the middle part of the plant stem stop growing until the new root system forms. Cabomba doesn’t like frequent replanting. To make its stem branchy it is enough to trim its top, which then can be used as a planting material. Roots of Cabomba species, especially of old and climbing ones, can be quite long and branchy, but at that they are fragile and breakable. It is very challenging to take the plant from the substrate without damaging its roots. If it is really necessary to replant Cabomba, it is better just to cut off with a sharp knife lower part of the stem and then use it as a sprig. In general, you can even leave the plant floating in a tank without planting it into the substrate, still it will grow even like this.